Maltipoo is a crossbreed between a Maltese and a Poodle. Generally, a Toy or Miniature Poodle and not the bigger Standard Poodle. Breeders usually select Poodles to cross with the other breeds to combine the Poodle’s hypoallergenic coat with the other breed’s looks and personality. 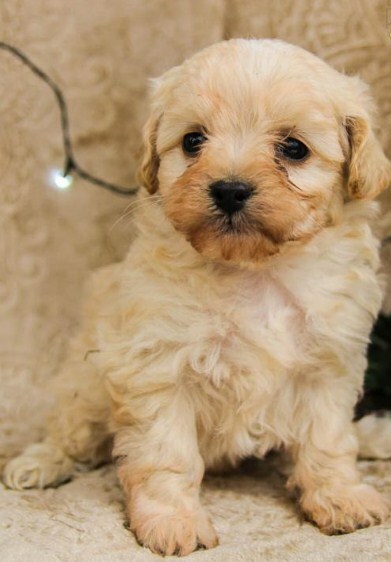 For Maltipoo’s case, the Maltese crossed with a Miniature or Toy Poodle to make a charming, teddy bear-like little dog that has a happy and affectionate personality. As we mentioned that a Maltese and Poodle are parents of Maltipoo. Then, How is the size of full grown Maltipoo? The adult version of Maltipoo is usually small dogs like their founding breeds. The Maltese is a breed that has weight about 6 to 8 pounds and has height 8 to 10 inches. Then, Toy Poodle have around 4 to 6 pounds in weight and 10 inches in height. Miniature Poodles are a little bit larger at 10 to 15 pounds in weight and 10 to 15 inches in height. Since either miniature or toy Poodles are used in this breed, the size of Maltipoo when he is full grown is 5 to 20 pounds and 8 to 14 inches tall. 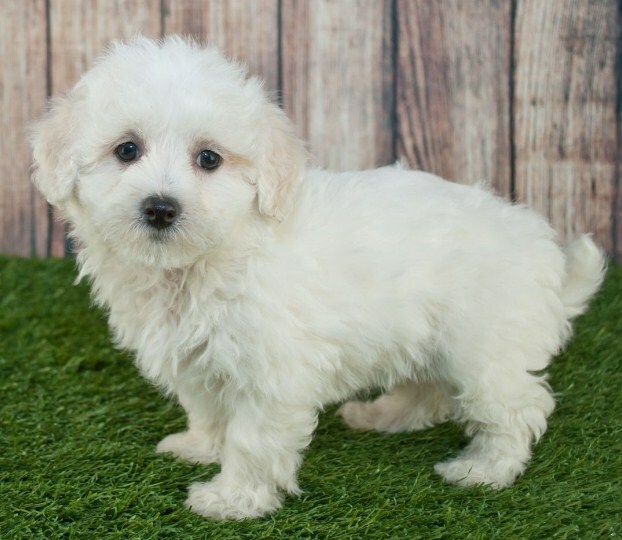 People cannot forecast the adult size of your Maltipoo, but they are able to suppose that it will be somewhere between the maximum and minimum heights of their parents. Some people will dub puppies to be teacups or miniature . However, without any guidelines about the standard size of a Maltipoo, some people can claim that one of any weight is a teacup if the pup grows up to be in the 5 to 12 lb range for Teacup Maltipoo full grown. With a wide range of weight variance that is owned by Maltipoos, a lot of owners feel worried about the size of their Maltipoo. They usually worry that their dog is too large or too small. One thing that you should remember is that a lot of growing will be done during 1st year. The most of that will be during the first 6 months. Then, after 6 months, he will get weight at a slower pace but continue to grow in height and it is the thing that makes an adult dog come up to be thinner and sleeker than a pup. 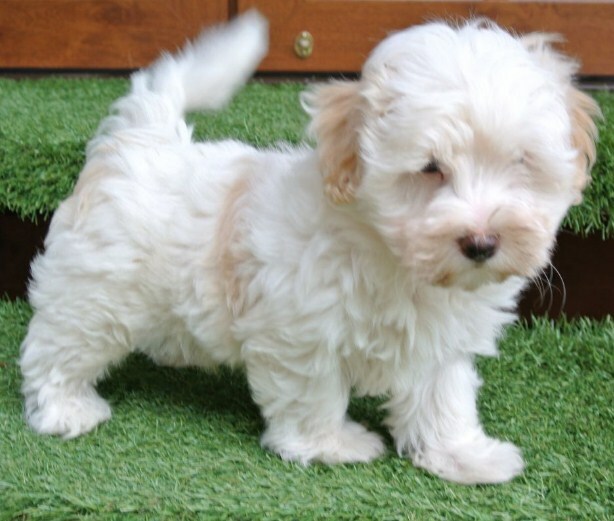 Bad breeding practises can produce a Maltipoo that fall for out of the expected weight range. If your adult Maltipoo is only 2 to 4 pounds, you should go to vet to make sure to catch any medical issues early on. Maltipoo which is too small can be a result of a breeder pairing dogs who themselves where undersized and that is not healthy. A lot of Maltipoos have squared, sturdy body shape and not necessarily a thinned, lean look. It is normal for puppies to own a rounded appearance. If you are concerned that your Maltipoo full grown size is too big and perhaps overweight, you can visit the veterinarian to check your Maltipoo. At home, you can do a general rule to access the rib cage of your dog. You should feel the ribs without too much fatty issue covering them.